Click on the link below to listen to the latest episode of the Pulpit Fiction Podcast. This is the podcast for preachers, seekers, and Bible geeks. Rev. Eric Fistler and I spend about an hour each week with the readings from the Revised Common Lectionary. We have two main Bible study portions as well as segments from special guests, music, and whatever else comes to mind. You can listen directly here, or you can go to http://PulpitFiction.us to get all the show notes, links to what we talk about, and download the podcast to your mobile device and listen anywhere you go. This episode is for the second Sunday in Lent. The two main readings are the Pharisees warning Jesus and his subsequent sorrow over Jerusalem, and the promise God makes to Abram. Our Psalmist in the field, Richard Bruxvoort Colligan, examines Psalm 27. There’s also a great song by talented artist Amy Cox. Click on the link below to listen now. 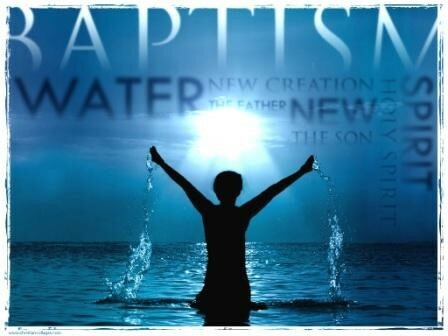 Sermon: Remember Your Baptism. “The problem with resolutions is that their power often relies on our on own resolve. So the resolution starts out strong, but then slowly fades. So today we’re invited not to make another resolution, not to make another promise to just try harder… We’re going to do something a little bit different. We’re going to renew our covenant…” To hear the whole sermon, click here. Deuteronomy 6:4-9 Hear, O Israel: The Lord is our God, the Lord alone. You shall love the Lord your God with all your heart, and with all your soul, and with all your might. Keep these words that I am commanding you today in your heart. Recite them to your children and talk about them when you are at home and when you are away, when you lie down and when you rise.Bind them as a sign on your hand, fix them as an emblem on your forehead, and write them on the doorposts of your house and on your gates. Zacchaeus was a wee little man? All of the writing on this, and all pages at fatpastor.wordpress.com, are the sole possession of Robb McCoy, and are in no way affiliated with the United Methodist Church, or with any local congregation of the United Methodist Church. Permission to use the written material on this site is granted for non-profit use, as long as credit is given to Robb McCoy and a reference to https://fatpastor.wordpress.com is used. Comments and discussion are encouraged. However, any comment that is degrading, profane, violent, vulgar, or offensive will be removed.